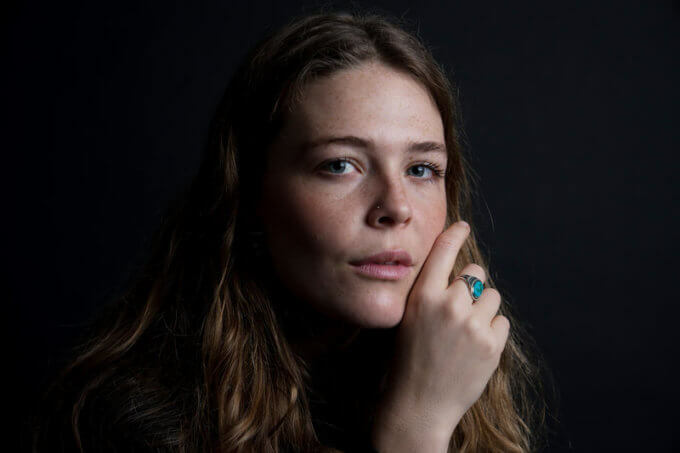 So far, Maggie Rogers has spent a healthy dose of her professional career as an online sensation. That may not sound strange given the Internet age, but in Rogers’ case, it was entirely accidental. In 2016, Rogers was attending class at New York University when super producer Pharrell sat in on a master class to critique the students’ work. Pharrell was blown away by Rogers’ song “Alaska.” Pharrell’s filmed reaction to her music was uploaded to YouTube and Rogers became a viral star. It’s a horrible cliche to say someone’s life changed overnight but in Rogers’ case, it really did. Since that day, Rogers has been touring around the world, playing her songs to huge crowds and appearing on late night television. It’s all led up to this: Three years after going viral, Rogers is negotiating all the peaks and pitfalls of stardom on her debut album, Heard It in a Past Life. Though it was a chance encounter that jump-started her career, Rogers says she remembers feeling “incredibly overwhelmed” by the instant Internet notoriety and by losing control of her private life. She was suddenly thrust onto photo shoot and music video sets and says she didn’t have much time to learn how to navigate the music industry. “There’s all these expectations that you just know how to do it,” Rogers says. Rogers’ music melds traditional folk with nuanced pop and dance. This mixture of influences left some wondering what kind of artist — especially one with a co-sign from Pharrell — Rogers would become in the current musical landscape. But Rogers says she’s gotten over worrying about other people’s opinions by learning where to dedicate her energy. Rogers strikes a balance of chemistry with the songs on the 12-track album. On “Fallingwater,” co-written and produced by Rostam Batmangli, she copes with the reality of letting love slip through her fingers while on “Give A Little,” she tries to wipe the slate clean. “Light On,” the album’s most recent single, is, as Rogers puts it, the record’s thesis statement. The track dissects the artist’s disorienting fast track to fame. “I couldn’t stop it / Tried to slow it all down / Crying in the bathroom / Had to figure it out / With everyone around me saying / ‘You must be so happy now,'” she sings. Rogers says “Light On” was the last song she wrote for the album and her most vulnerable work to date. Heard It in a Past Life marks a new chapter for Rogers, one where she is the writer of her own narrative. “Realistically, the album is the introduction to me that I never got to make,” Rogers says.